This best-selling toner from The Organic Pharmacy awakens and revitalises the skin by allowing the nutrient-rich formula to rehydrate and prepare the skin for moisturisation. It also helps minimise open pores. For those of us with normal, combination and oily skin a good cleansing routine is paramount to keeping that oil at bay! Revitalise, tone and hydrate your skin with this best-selling toner complete with a complex of nutrients and extracts. This light toner is ideal for normal, combination and oily skin where pores can appear enlarged due to pollution, genetics or sun damage. Cleansing properly morning and evening is especially important if you have combination or oily skin, a good skincare routine can really help visibly reduce pores and help balance sebum production. Not fully cleansing your skin blocks pores which stops your skin breathing and disrupts the natural renewal process. Having blocked pores overnight is also bad for your morning routine where you need clear skin to absorb your daily toners and creams and see the most benefit. 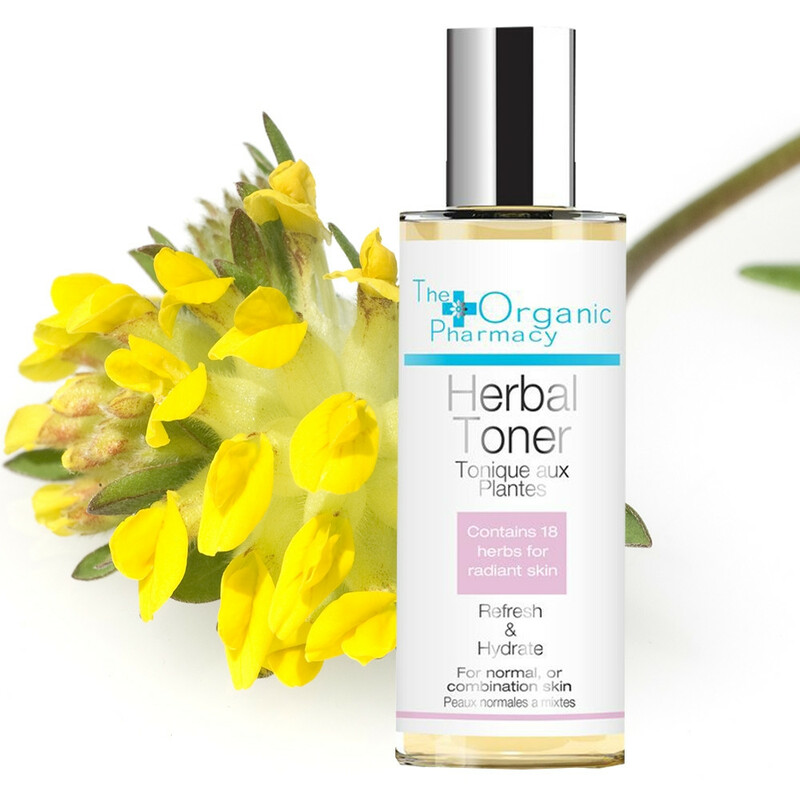 This Herbal Toner contains 18 organic herbs which act synergistically to minimise pores and keep the skin in perfect condition. The fresh extract of Sicilian Lemons lifts and tones the skin. Ideal skin: Perfect for normal, combination and oily skin. Usage: After cleansing well, close your eyes and spritz Herbal Toner all over the face and allow to sink into the skin. This acts like a pre-moisturiser which hydrates and plumps the skin. Follow with your favourite moisturiser. Tip: Exfoliating once or twice weekly is a great way to keep your skin looking clear. All skin types need moisture, so don’t forget to moisturise afterwards. Matching Products: Use after cleansing with The Organic Pharmacy’s Carrot Butter Cleanser.